It’s that time again to kick off the new year and what better way to do so than (1) a new update to – “The Real All-In-One SEO Plugin for WordPress” – SEO Ultimate and (2) to introduce (our long-awaited) comprehensive video tutorial covering each SEO Module in detail for our plugin. 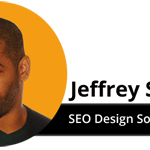 For the record, SEO Ultimate was NOT designed for the public; it was originally designed as an in-house SEO tool deployed specifically to provide unparalleled on page SEO setup for WordPress. By consolidating these features into modules (that we could simply toggle on or off and configure at will) allowed us to virtually dominate hundreds of markets for our clients (without having to painstakingly customize the code time and time again). Why All the Secrecy with SEO Ultimate? 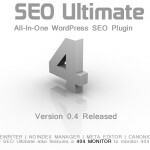 Many wondered – if SEO Ultimate is so awesome, then why not show us how to use this thing? Well, frankly, if you weren’t a client, then we didn’t want to create unnecessary competition in our markets, especially from giving away our most cherished methods free of charge. We hope this explains the lack of documentation over the years aside from version updates where we briefly informed users about new features, but in all honesty, we kept the real power of SEO Ultimate close to the chest – until now. The time has come to provide detailed documentation of each module, why it’s important and of course, how to use it – courtesy of our lead developer John Lamansky. Unlike some half-baked SEO plugins, we poured over 15 years of real world advanced SEO principles into this plugin. 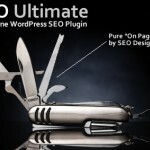 Prior to releasing this tutorial, the argument of just how powerful SEO Ultimate vs. any other SEO plugin may have been in question. However, after watching the video, this should clear up any confusion about the depth or the real purpose behind each module and the scope of the plugin. A Mass/Bulk Editor for Complete Editing for Meta Tags, Titles, Keywords, Categories, Media Attachments, Post Format Archives and much, much more. 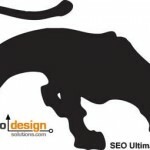 While the deliberate suppression of information regarding the inner workings of the SEO Ultimate features was not entirely deliberate, there was a concurrent master plan in the works. Just think of it like a 6 year chess game where each move unfolds another strategic layer of the battle plan, only to culminate in a brilliant (market-dominating) end-game and check mate. It’s like that, but in this case its all about the WP Ultimate Framework. The market dominating check mate in this scenario was that our proprietary SEO platform (SEO Ultimate) was absorbed and integrated into our WordPress Framework to provide unparalled SEO & Design flexibility. The beauty for end-users is, once you gain access to the framework, you also get access to the training as well. Is WP Ultimate Ready Yet? Thank you for your patience, as many of you know for the past two years we’ve toiled away in the labs like obsessive compulsive perfectionists testing the WPU Framework and we’re nearly finished coding and stress-testing now. When complete, we will release 1000 copies to a select group, then take that feedback and roll even more powerful features into the Framework. Consider it a work in progress, however, recent additions to the framework include adding Twitter Bootstrap, Google Fonts, a Lightbox Feature which can be toggled via a timer or link), a more comprehensive Style Editor, a New Media Manager suite to insert ads, media, shortcodes and more and a Completely Reworked Grid System to handle responsive layouts, fluid layouts or the ability to create fixed width layouts to liberate your design impulse and display options and build websites that rank as great as they look. For a sneak peek, you can read a few of the WP Ultimate features, or stay tuned as we release more information on the launch details over the next few weeks. I prefer transparency about everything, so, do not be surprised from the opt-in form prior to accessing the video tutorial. 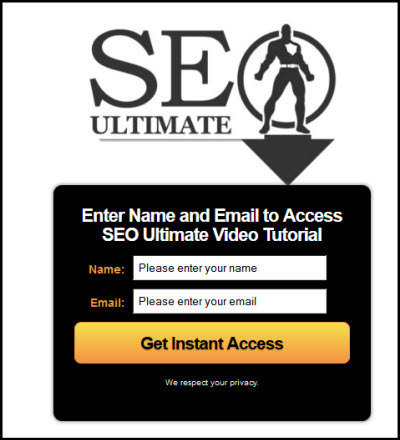 The video is over one hour long and jam-packed with EVERYTHING you’ll need to get the most our of SEO Ultimate. Also, keep in mind, we intend on putting other advanced training videos and tactics which will not be featured anywhere else in the members section. By opting-in, you’ll gain access to that material and will also be notified when we launch the WP Ultimate Framework. We hate spam as much as you do and respect your privacy. You can opt out-at any time. This (content-locking) method simply helps us manage our user-base more efficiently and separate the power-users from the sheep. Enter First Name and Email Address for Instant Access! We wish you the best in 2013 and look forward to providing the best, cutting-edge SEO tools for WordPress – period! 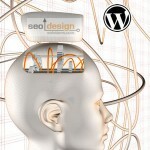 Help SEO Design Solutions spread the word by sharing or commenting on this post!